The Easter Holidays at Saffron Screen are packed to the rafters with entertaining new films for you to enjoy. 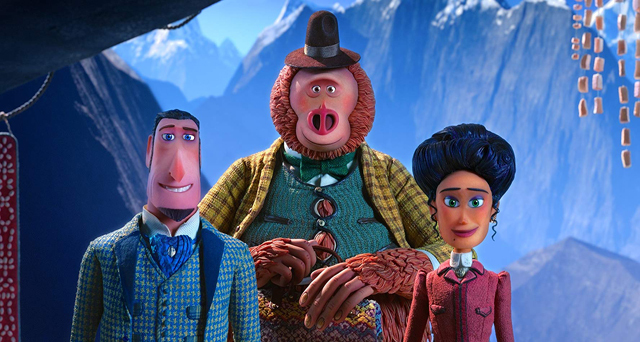 Charming and hilarious new animation, Missing Link (PG), headlines the Easter line-up and will be accompanied by FREE themed craft activities before every screening. And watch your little ones dance with excitement at Bite-Sized Ballets: Elves and the Shoemaker (U), an interactive ballet for children, narrated by Anita Rani. Families will also love, The Kid Who Would Be King (PG), a hugely entertaining update of the Arthurian legend which sees schoolboy Alex’s world turned upside-down when he accidentally releases Excalibur (whoops!). For older children and adults won’t want to miss a final chance to see Captain Marvel (12A) as Brie Larson reigns supreme as one of the universe’s most powerful heroes in Marvel Studios’ first female-led movie. We’re also looking forward to seeing, the heart-warming, Fisherman’s Friends (12A), the delightful film about the shanty-singing Cornish fisherman who formed a band and went on to national success and acclaim.